One of the main reasons parents enroll their children in martial arts is for focus and self discipline. We see it over and over again. Parents enroll their children into our kids martial arts classes often expecting that they will see immediate improvements. One of a kid's favorite activities is to fall down on the floor, goof off with friends or to tell the instructor a story about what happened that day. Our job is to make them a disciplined ninja with perfect focus. This sounds like a difficult task, and it can be. That's why it's so important to have an age-specific curriculum and lesson plans that are appropriate to different groups of children. For example, the lesson plans for our 3-5 year olds is very different than the lesson plans for our 10-14 year olds! There are two ways to make children "follow the plan". The first way is with negative consequences and the second way is with positive reinforcement. We've found that the second way is much, much better. The satisfaction of accomplishment is much greater than the fear of punishment. All martial arts students, but especially children, respond better to positive influences that they do to negative ones. So what does this mean for our Martial Arts Classes? We don't run our kids' karate classes like what you have may have seen in the movies or in the military. It's not a drill instructor, my way or the highway type of approach. Rather, we run our classes by leading by example. 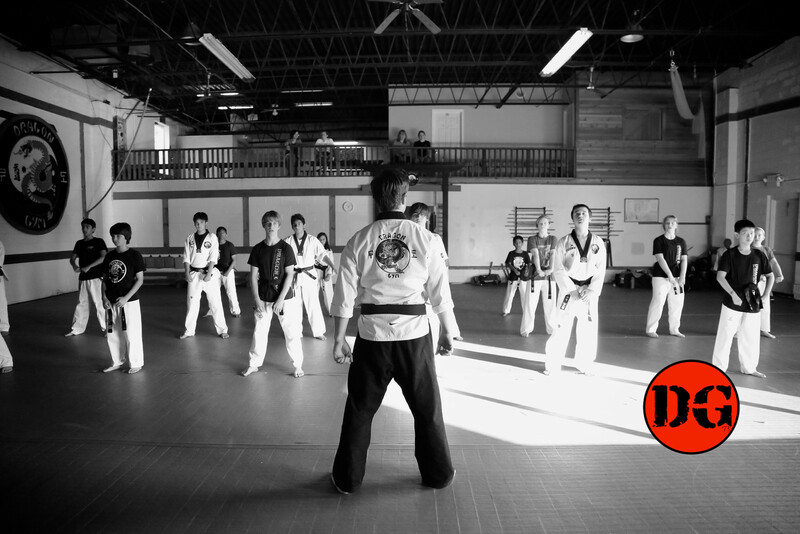 In every class you'll see an instructor and assistant instructor and several "Junior" instructors. In this way, the children learn through both instruction and near-peer mentorship. We utilize positive encouragement, constructive feedback and mutual respect. We've found this approach helps ensure that children stick with the martial arts training, be it taekwondo, karate or jiu jitsu over the long term. And, they love and enjoy coming to class! Results can come fast, but they can also take time. This is to be expected. The key is consistency over the long haul. Then we see the students start to experience the real, life-impacting benefits of martial arts training: Focus, Confidence, Discipline, Kindness and Perseverance. 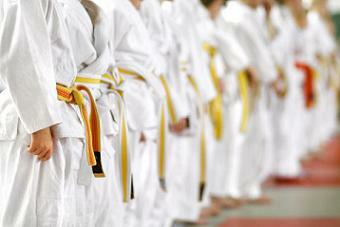 If you'd like to get your child involved with martial arts classes, you're in the right place! We start all new-students with a Free, No-Obligation Orientation and Intro Lesson so that you can meet the instructor, see the facility and make sure our program will be a good fit for your child and your family.